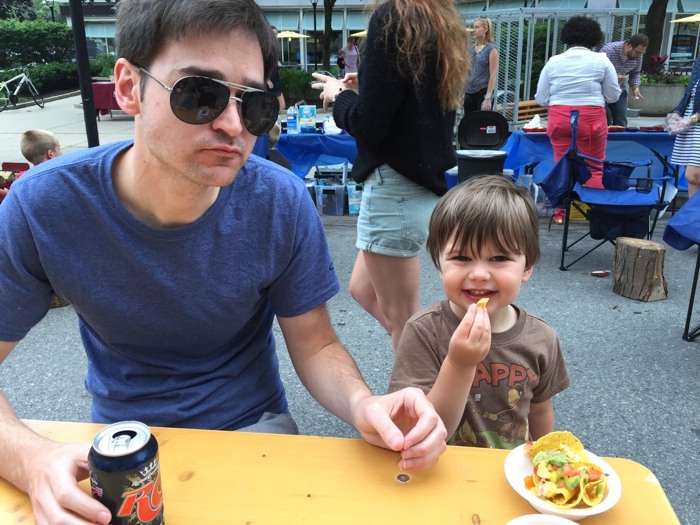 Food, music, art, shopping, “activities” (as I sold it to Corban)… the NEWaukee Night Market is a free open air market that sets up one Wednesday a month from June through September on West Wisconsin Avenue in Milwaukee. Half our Wednesday evenings are spent with our church Community Group, so it never worked out for us to go last summer. But last month, the market finally fell on a Wednesday we were free, so I marked my calendar well in advance for it. I’m so glad I did! 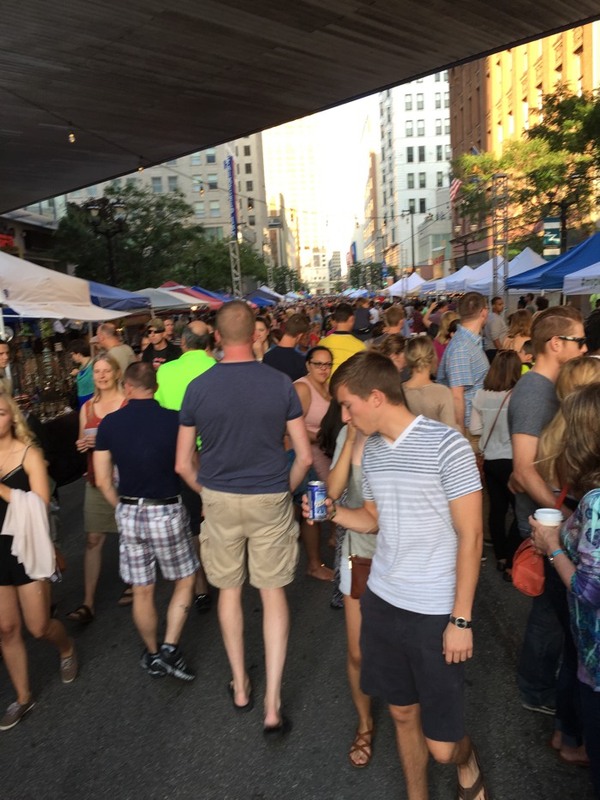 It was energizing to see that area of downtown–not “bad,” but relatively lifeless for being in the heart of downtown–made vibrant by Milwaukeeans out on a beautiful weeknight enjoying a curated sampling of local culture. 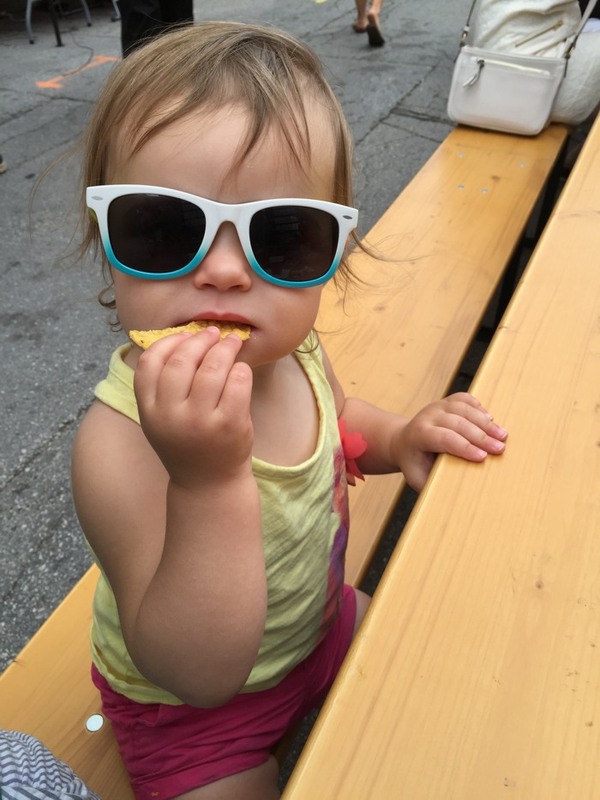 Had we not had Corban and Mara with us, I would have loved to peruse all the booths of local makers. From what I saw, it was like a classy craft fair, with people selling handmade items that appeal to modern taste. 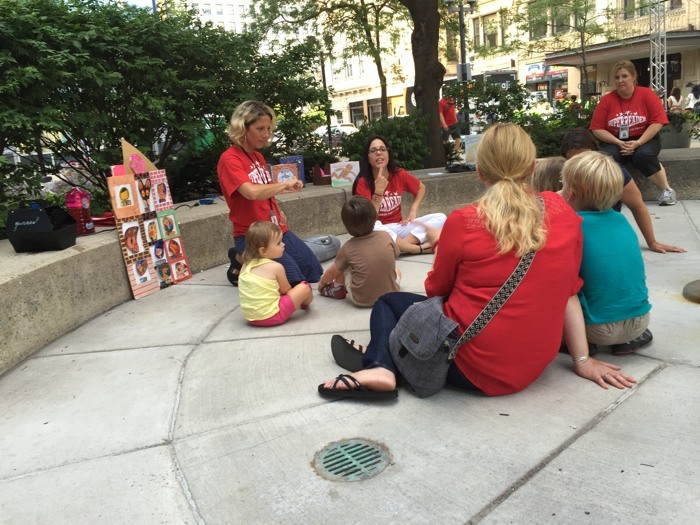 Instead, we said hi to Peter’s co-workers at the Pick ‘N’ Save nacho bar (only $1), ate fancy tacos, roasted marshmallows, danced to music, watched an ice sculptor and a painter at work and stumbled upon an outdoor story time hosted by the Milwaukee Public Library. I love events like this that are friendly to any age. 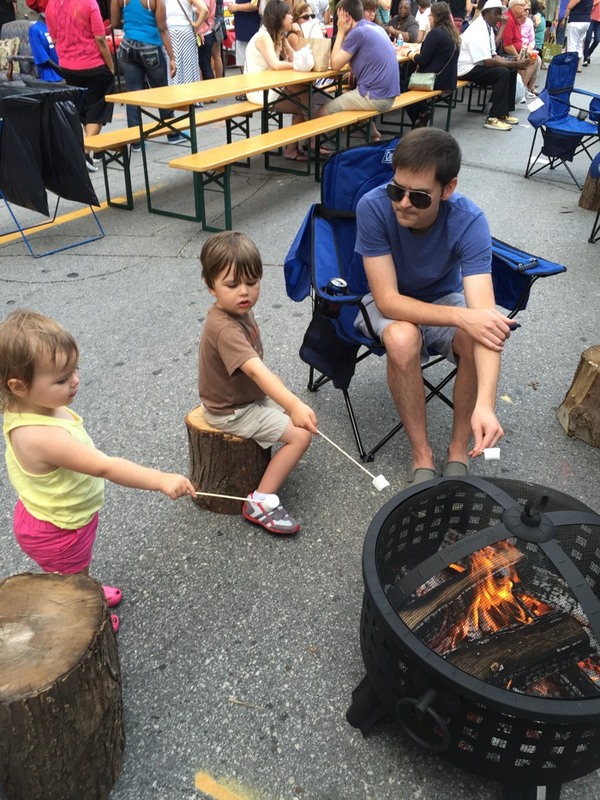 There are two more Night Markets this summer: Wednesday, Aug. 19 and Sept. 16. This was on my big list of summer fun. See the full list here.